enjoy and delight your palate! Experience savory southwest cooking at home, camping, tailgate parties or RV'ing with our handcrafted discada discs. for your ultimate culinary experience. 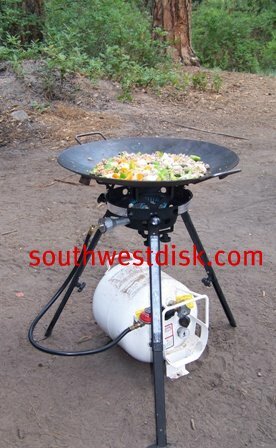 Check out our selection of Discada plow disk cookers and a host of disc burners/fryers, lids, covers and kits...Thanks! !